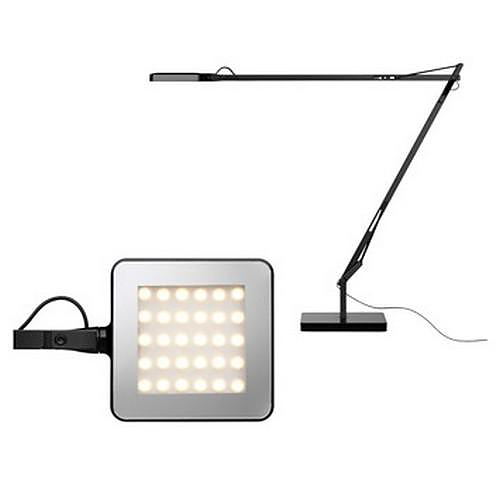 HomeBlogHome DecorFlos KELVIN LED Desk Lamp. 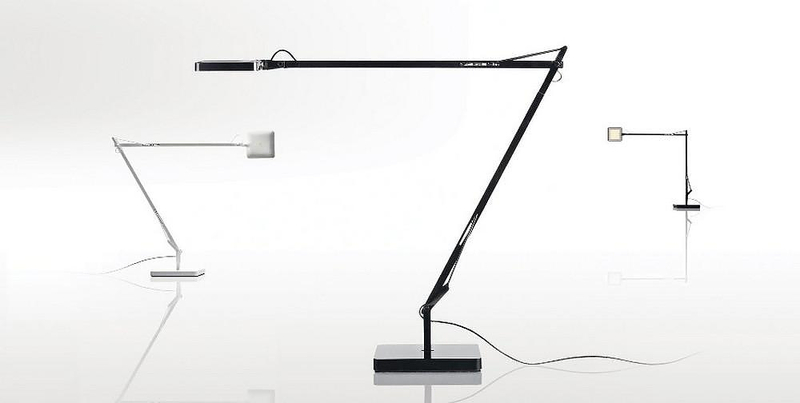 Flos KELVIN LED Desk Lamp. 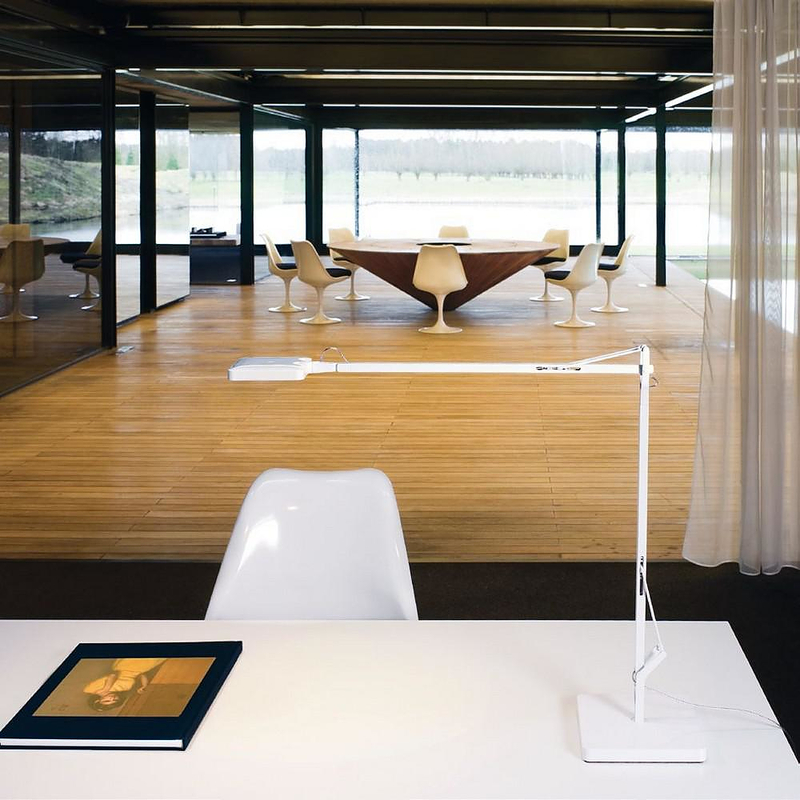 The Kelvin LED desk lamp by Italian Flos features modern design and extremely low energy consumption while shedding warm white light. 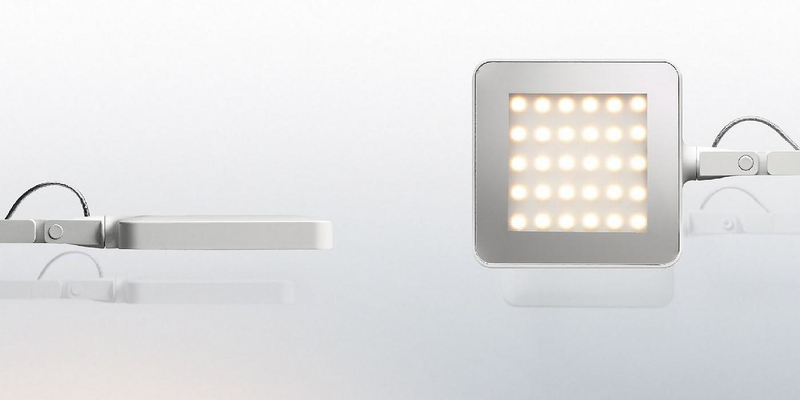 The lamp head features 30 LED light bulbs that produce 325 lumen with just 8W consumption. 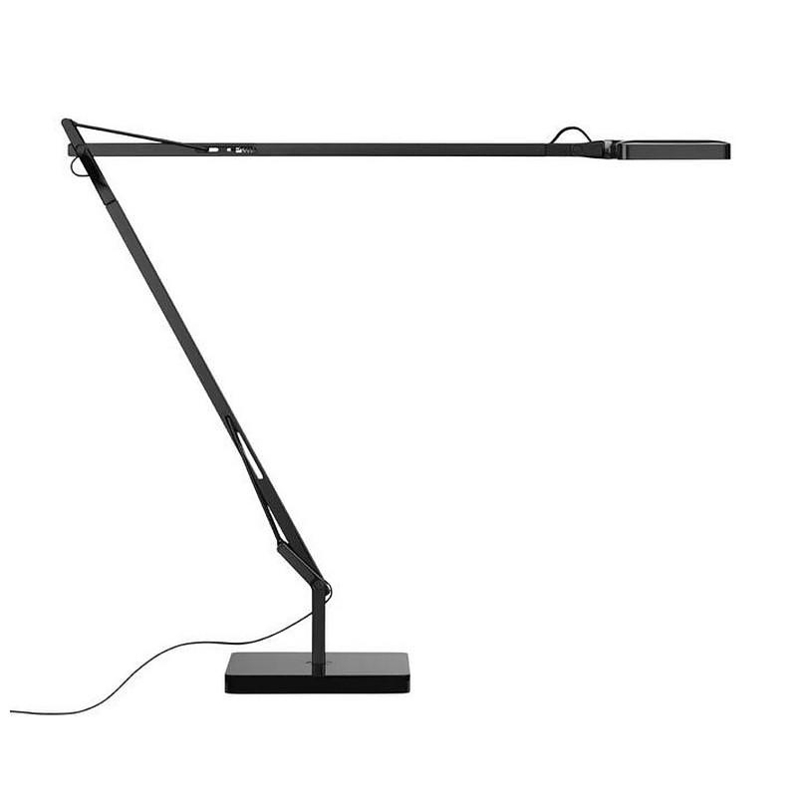 Flos KELVIN LED desk lamp was designed by Antonio Citterio and Toan Ngyuyen and is based on Flos’s successful KELVIN model adjusted in such a way to feature the LED bulbs in line. 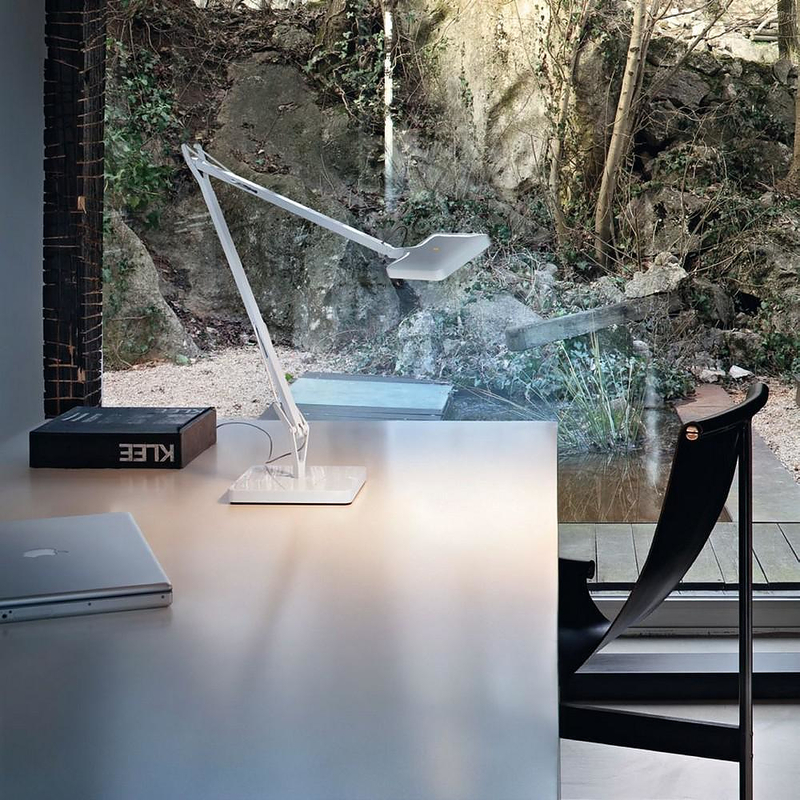 The design of the KELVIN desk lamp is minimal and shows off its high quality without artistic exaggerations. 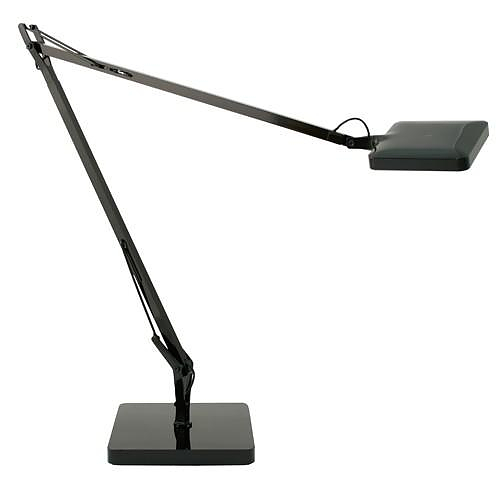 The main arms of the desk lamp are made of aluminum and offer great adjustability and ergonomics. 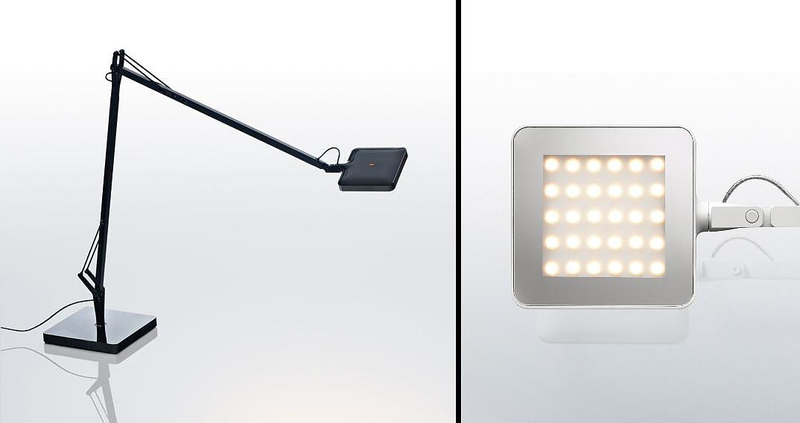 What makes the Flos KELVIN LED different from the bunch of LED desks lamps is the warm white light color that differs from the intense cold white commonly used in LED lamps. The LED light-bulbs featuring the Flos KELVIN LED are low temperature and featuring a special filter that produces warm white light ideal for reading and working on laptops. 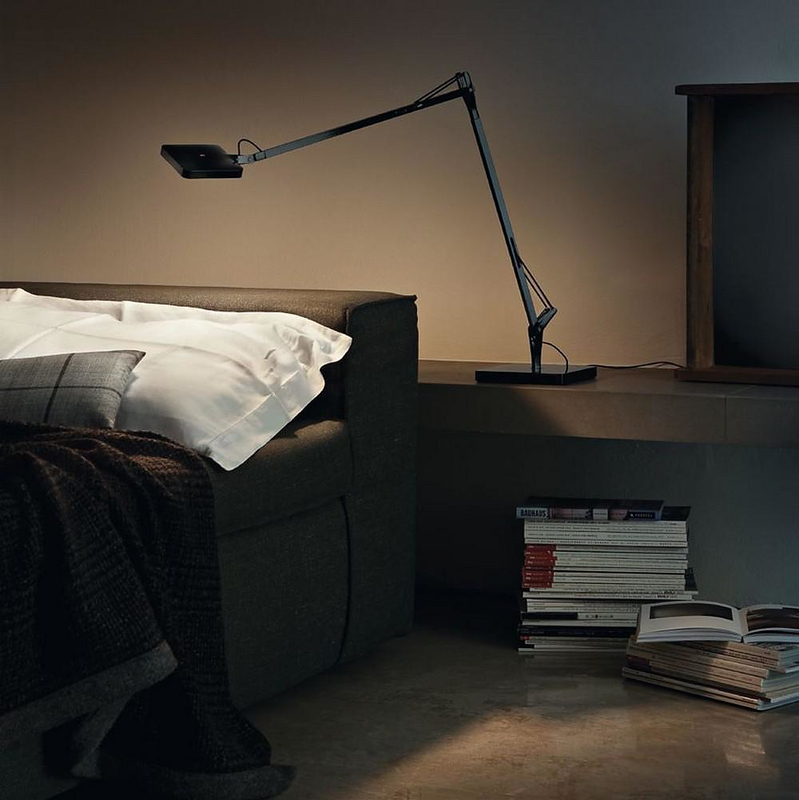 The Flos KELVIN LED works with touch switch and two intensity modes – 100% and 70%. 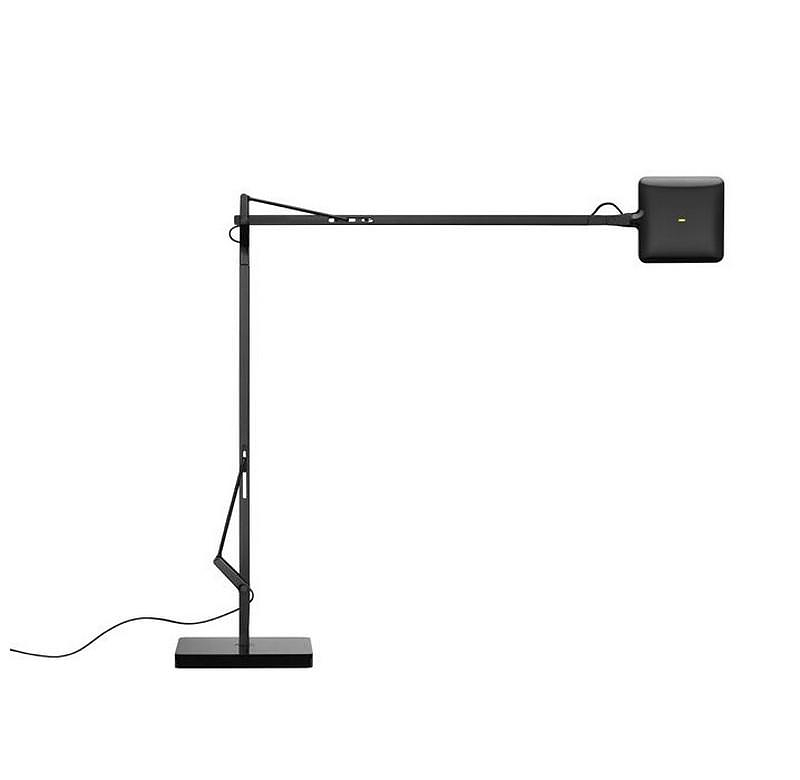 As the FLos KELVIN LED is meant to be used as desk lamp or reading light the light direction is also adjustable. 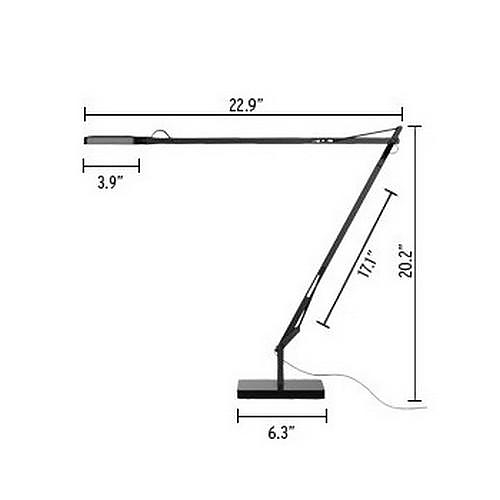 You can turn the lamp head to light up the exact place you wish, a feature that most LED desk lamps do not provide. 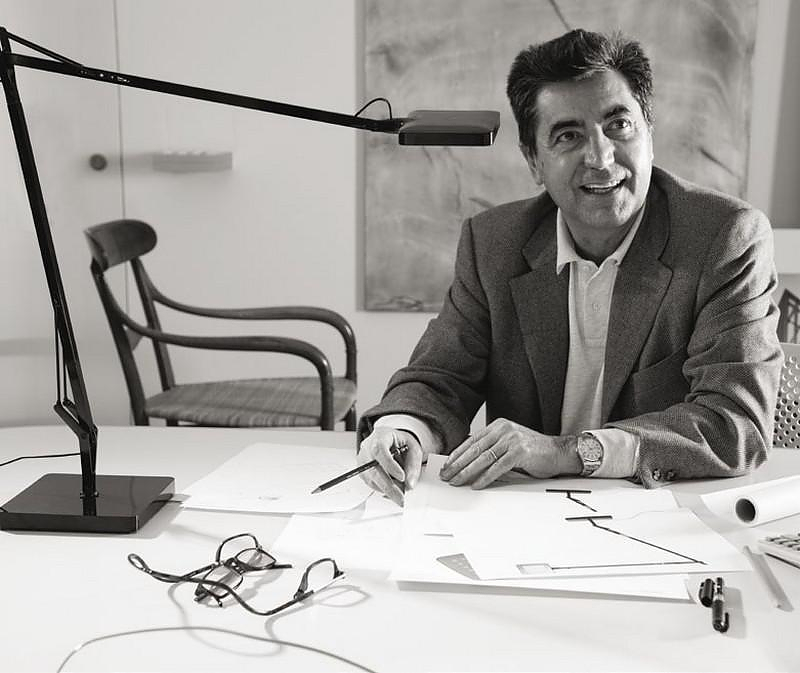 Furthermore, the desk lamp’s arms are equipped with springs that stabilize the structure in many positions, in a minimum effort. The KELVIN LED is a high quality product that proves that LED technology has reached a level enough to replace the fluorescent lamps, providing light with adequate color for reading and desk tasks. 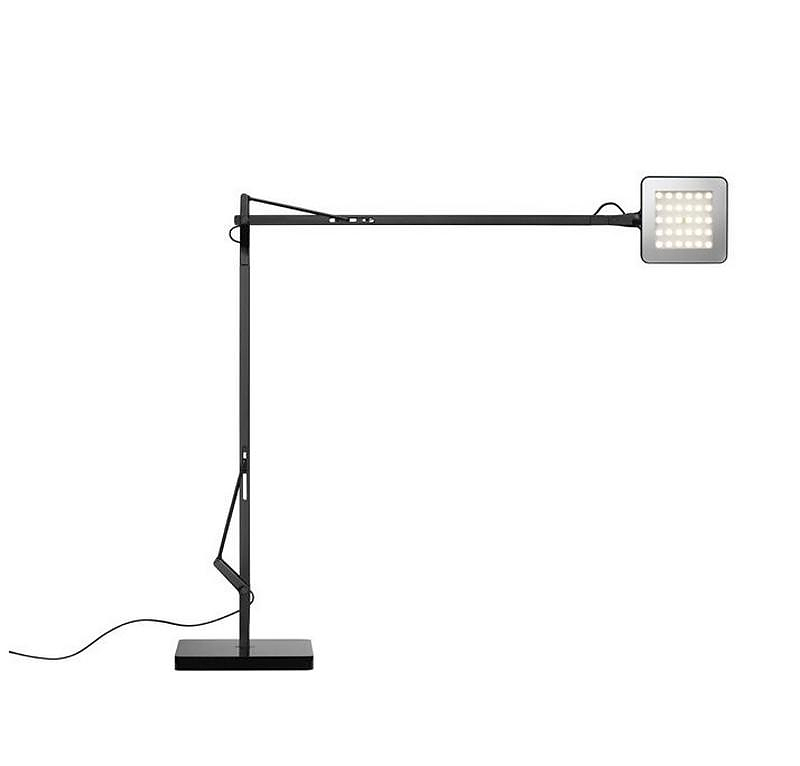 Quattro LED Task Lamp by Robert Sonneman.